Posting from my friend Judi Finneran’s post today. I agree 100% with what she’s saying. She and I did our 60-day Juice-fest together. Let me know what you think. For the past several days I have been listening to the book Wheat Belly, by William Davis, MD. While I was initially drawn to reading the book due to my own loveof starch carbs (give me a potato or a chocolate any day) I was underwhelmed to say the least and frightened by some of the information espoused in the Wheat Belly Diet. 90% of what I heard, in MY OPINION, was complete hooey as much as I would have loved to believe it. Anyone who tells me I can grab a block of high fat cheese for breakfast, not worry about how much I eat and still lose weight causes me to drop to my knees, saying “tell me it’s true.” Suggesting fried eggs as a great breakfast nearly made me trip on the sidewalk. I do agree with the points made about we eat too much junk and many of them are wheat, bagels, pretzels, crackers, etc. But overall, listening to this book made me fearful for people reading it. It is just another fad diet, again in my opinion and designed to excite those who worship at the alter of a highly saturated fat diet. Which brings me to other very popular fad diet book out there right now, The Paleo Diet. The author is Loren Cordain, Ph.D., the world’s leading expert on Paleolithic diets. Seriously, how many experts on there on the Paleo Diet to make him the leading expert? When I hear people talking about “The Paleo Diet”, I picture plates loaded with big bloody slabs of beef. And as in Wheat Belly, carbs are the enemy. Not just junk food carbs, but also vegetables. I would like to find one physician who would ever tell a patient to eat more red meat. To me, this was Wheat Belly was a caveman slant, designed to attract real men who eat meat. Right. To me, in my opinion, these are both just redressed versions of the Atkins Diet of the 70′s and 80′s. The same old stuff in a new outfit, out to fool an new bunch of people. The reason I keep stressing in my opinion is because I am not an expert. I am just someone who has never, ever, not even once heard of someone dying from eating too many vegetables. I was a server in a restaurant when the Atkins Diet was in its heyday. I most often worked the breakfast shift and the most common meal was steak and eggs. The eggs were either fried or scrambled with cheese added. Again, seriously. Oh and no toast. And we all remember how Dr Atkins died, right? I admit it, I am a true believer in Eat to Live, Nutritarian Lifestyle by Dr Joel Fuhrman. It just makes sense to me and I don’t see anything in there which could possibly kill me. 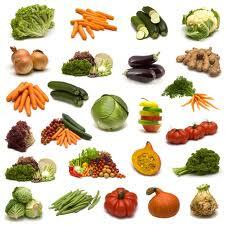 Fresh whole fruits, tons of veggies, no processed foods, healthy whole oils, no added salt or sugar. Just whole, healthy clean food. Dr Fuhrman and Eat to Live has stood the test of time and there are 1000′s of long term success stories to back every thing up.